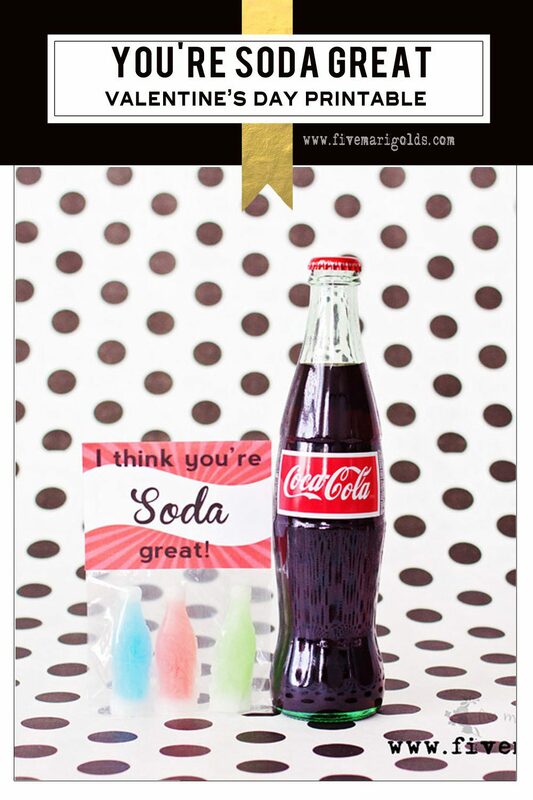 Are you a fan of the Soda Shoppe Valentine’s Day printables I shared earlier this week? I have one more soda-themed valentine for you. My son loved the idea of giving candy wax bottles to his buddies at school, but he was kind of hoping for a more cola inspired theme and wanted it to read “soda great” instead of “soda sweet.” You don’t want to send the wrong message in 2nd grade, apparently. 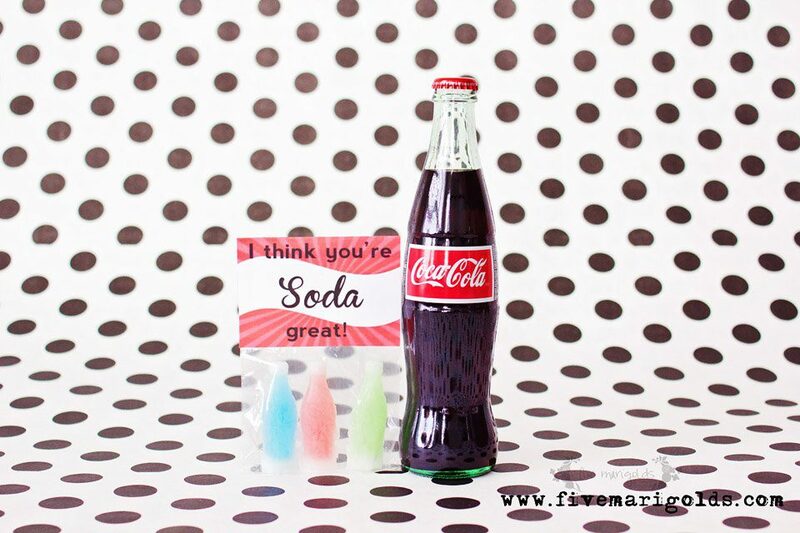 I whipped up this very basic tag that he’s a big fan of, so I’m sharing this Soda Great Valentine’s Printable here for my subscribers today! You can download this free Valentine’s Day printable by subscribing here. Hi! I found you over on Made by You Monday at Skip to My Lou. I love this printable and this theme for a Valentine! We used root beer for our wedding favors and put a tag on them that said “Soda-lighted you came to celebrate!” I like the play on words you are using for Valentines. I just love the vintage/retro look of glass bottles, and you can tailor the gift to your Valentine’s favorite soda pop! Thanks for sharing the free printable!